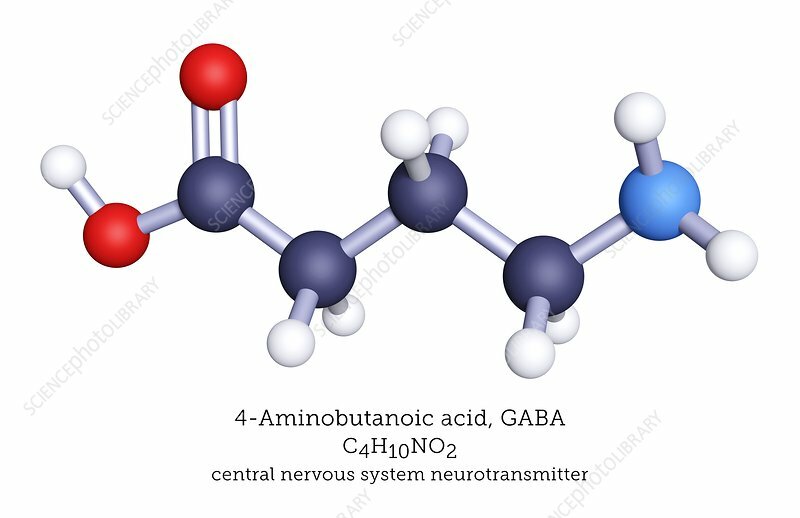 GABA is the primary inhibitory neurotransmitter of the central nervous series. GABA binds to receptors in the neural plasma membrane, opening ion channels that allow chloride anions to flow into the cell or potassium cations to flow out of the cell. Ion transport decreases the transmembrane potential. Atoms are represented as spheres and are colour-coded: carbon (black), hydrogen (white), nitrogen (blue) and oxygen (red).